I will continue in the sharing sweets theme and we are staying in France. 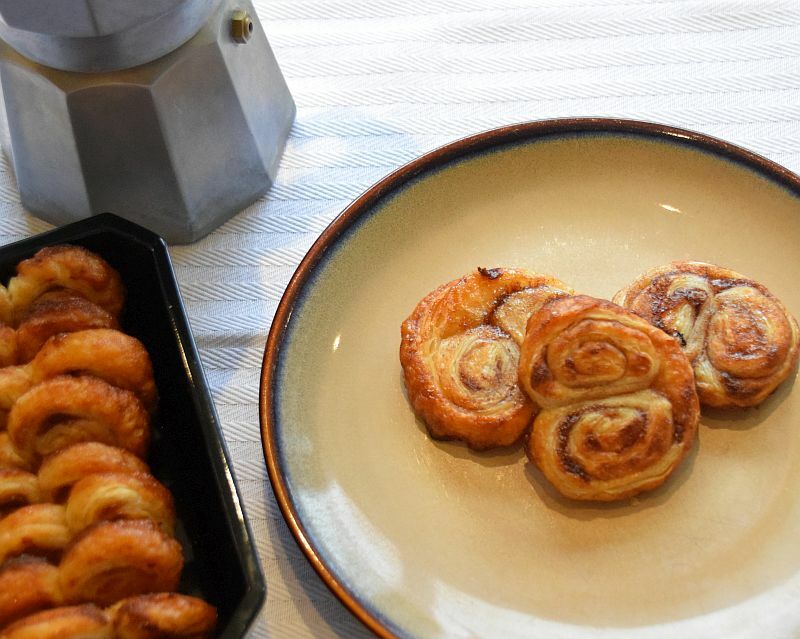 This time I will share with you a recipe for Palmiers. 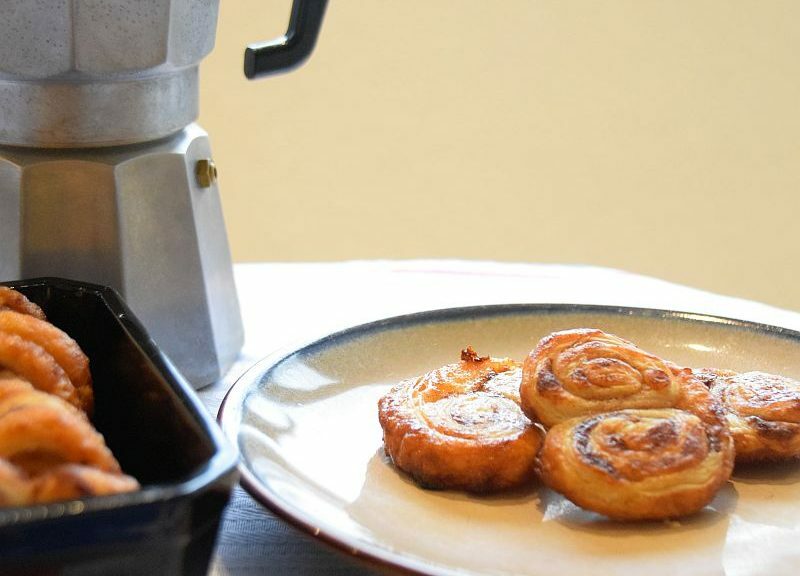 They are great as a way of using up puff pastry trimming and off-cuts from other recipes. When savings the trimmings don’t roll them into a ball, or it will spoil carefully created layering in the pastry. Instead place the trimmings in layers and roll them into one sheet of pastry with a rolling pin. 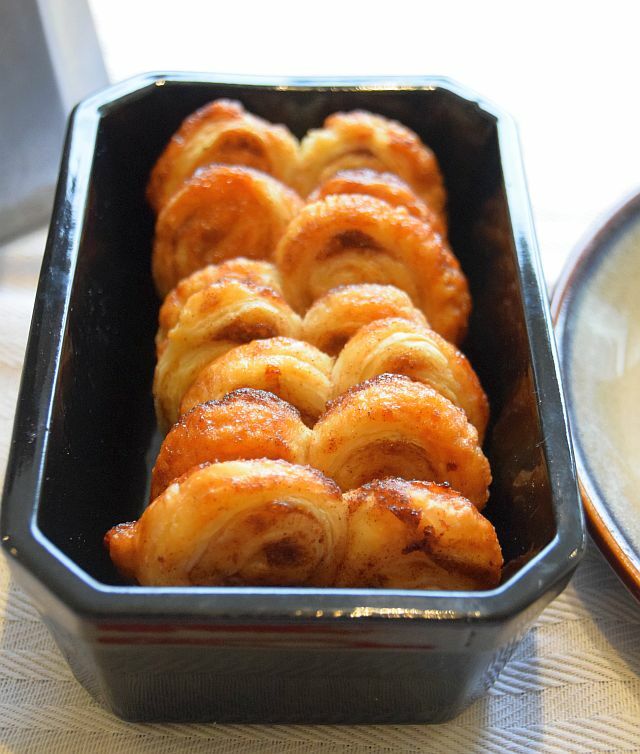 Similar to Madeleines from my previous recipe Palmiers are great for sharing or as part of the afternoon tea display. What’s best about the Palmiers though is that they take literally not effort to prepare! Use around 20g sugar to sprinkle the work surface and cover with the sheet of pastry. Mix the remaining sugar with cinnamon (if used) and sprinkle the pastry evenly. Roll the long ends of the pastry into the middle, where they meet. Cut the roll across into 1cm slices. Cover with a cling film and chill in the fridge for about 15 minutes. Meanwhile pre heat the oven to 200 centigrade. Bake in the oven for about 10 minutes, or until pale golden, with the underside caramelised. Turn them over and bake for another 10 minutes. Remove from the oven and transfer to a wire rack to cool. Enjoy in a good company with a cup of freshly brewed coffee.